A few days ago I posted a Grilled honey-balsamic chicken with red onion plum sauce... this next recipe is similar in nature as it's a grilled meat with a fresh and vibrant accompanying sauce ~ a classic chimichurri. Chimichurri (in my opinion) is one of those simple, must have on hand at all times in the spring and summer! 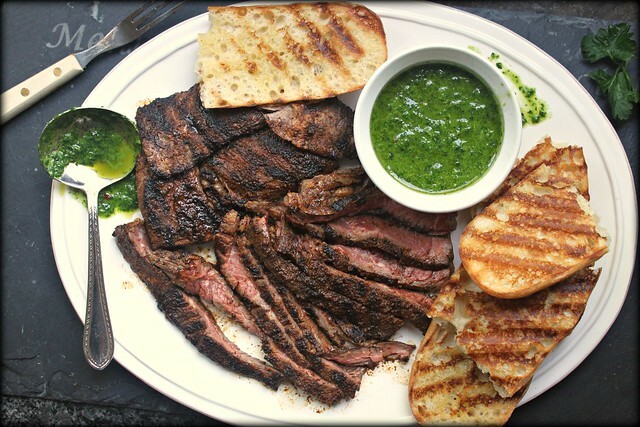 It goes with just about everything...grilled meats, breads, rice, veggies ~ you name it ~ chimichurri makes it better!